You’ve already worked at a number of leading clubs, even though you only recently turned 30. Can you take us through your career path? My golf journey began at the University of Birmingham with the applied golf management studies degree course. A requirement of this programme was to carry out three placements through the summer months and my second-year placement at Gleneagles probably kick-started my career. 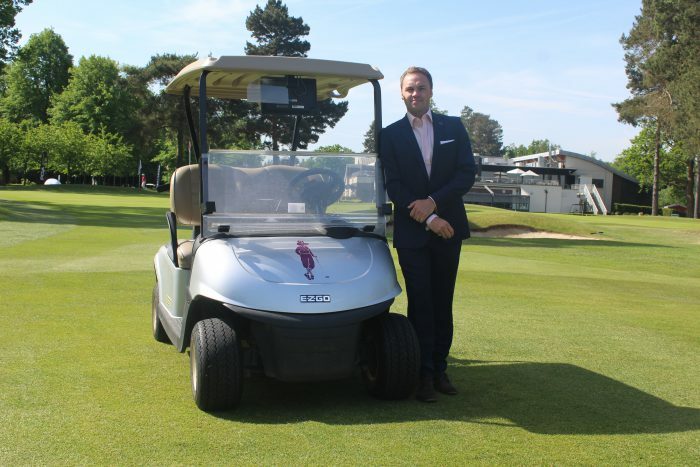 Working at a busy 54-hole venue, golf academy, hotel and multiple food and beverage outlets with sales, marketing and HR departments gave me a fantastic insight into large golf operations with high service expectations. 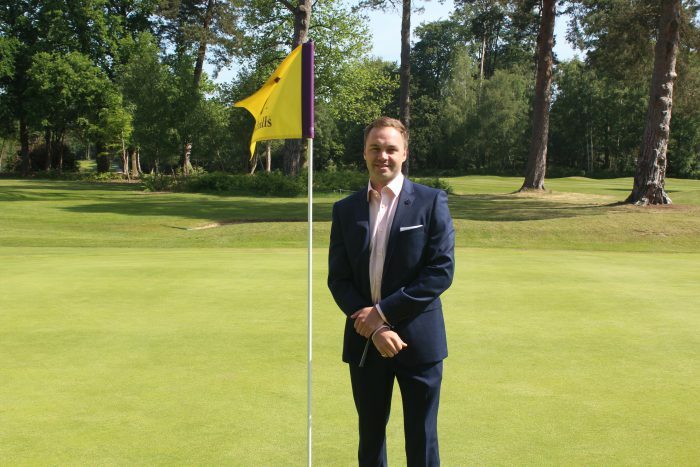 I then took a professional role at my home club, Millbrook Golf Club in Bedfordshire, teaching and carrying out duties typical of a PGA professional at a private members’ club. During this time, I also completed my masters degree in human resource management. In pursuit of the next challenge, I headed to Saudi Arabia and was head professional and then promoted to operations manager at Safaa Golf Club. In this role, I led quite a large team, so this experience really allowed me to develop my managerial skills, which is an opportunity I wouldn’t have otherwise had in the UK at the age of 23. After two years, I came back to the UK and spent two and a half years at Brocket Hall as operations manager. I then spent 18 months at Golf At Goodwood before the opportunity at Foxhills came up. 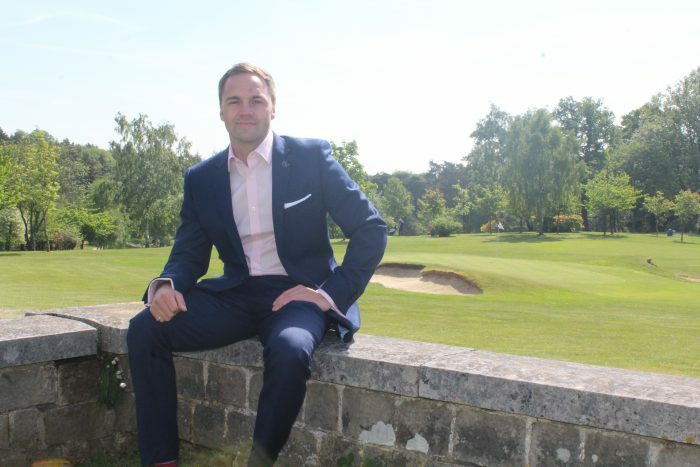 I’ve now been director of golf at Foxhills for nearly two years and I am loving every minute of it. What did the degree in applied golf management studies (AGMS) cover and how has it helped you in your career? In addition to the three placements which gave vocational experience, the topics covered included business management, sports science, psychology, equipment science, marketing, financial performance and human resource management. We also complete all the necessary criteria to gain our PGA qualification. AGMS provided me with a depth and breadth of knowledge that I would not have gained with any other qualification or degree programme, and to put it simply, I would not be where I am today without it. It’s also created a network of likeminded professionals, and since graduating I have gone on to hire five AGMS graduates throughout my career and currently have two in the team at Foxhills. Can you describe to our readers what Foxhills is like? 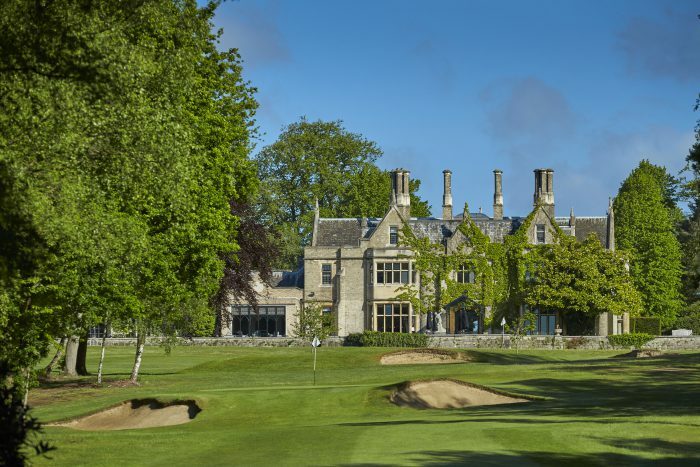 Foxhills is a proprietary-owned business and forms part of the Foxhills Collection, with Farleigh as our sister club. 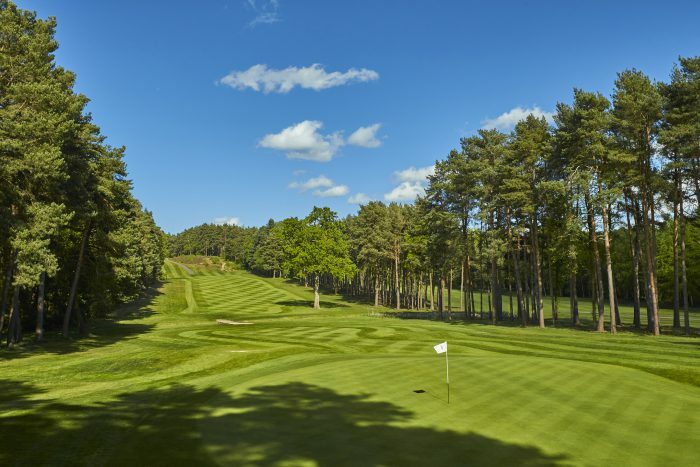 At Foxhills we are much more than a golf club; we are Foxhills Club and Resort with 70 hotel rooms, a gym, four swimming pools, 12 tennis courts, multiple function room spaces – not forgetting the two 18-hole courses, a nine-hole par three course and the driving range. 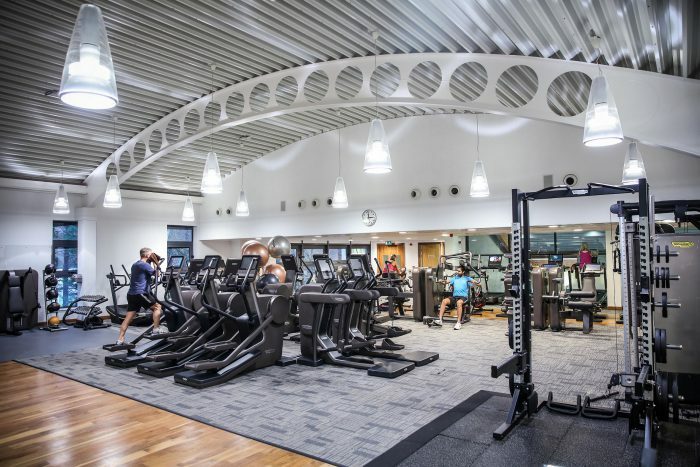 We have around 3,500 members across all membership categories and our USP is catering to the leisure needs of families. You are the club’s director of golf, and you sit on the Golf Club Managers’ Association’s (GCMA) ‘Young Managers’ Group’ – but the resort also has a general manager. What does your role entail and how do you work with the manager? I oversee everything golf which comprises all courses, retail, tuition, operations and all golf revenue. Historically, the general manager has focused more on hotel and food and beverage operations, however I would report to the general manager and work closely with him / her to deliver the business strategy and day-to-day operations. I have been involved with the GCMA now for nearly two years and have been leading the Young Managers’ Group in the south. This has involved organising educational networking events with the main goal of introducing good people to good people, but also to provide everyone who attends with a special educational experience. These events have been some of the best CPD I have experienced, if not the best, and are available at very little cost. Foxhills seems to be a particularly well marketed facility. What do you do to attract potential new members? Do you invest more in marketing for green fee visitors? We do try to advertise in the right places and towards our target demographics. Many of our membership leads come via member referral, which is always a preference as we know the new member will be inducted into club life that much easier if they already know members. We have a great membership referral scheme in place. Visitor green fees make up around four per cent of our total annual rounds so we invest very little in marketing in this area. It’s not a key driver. 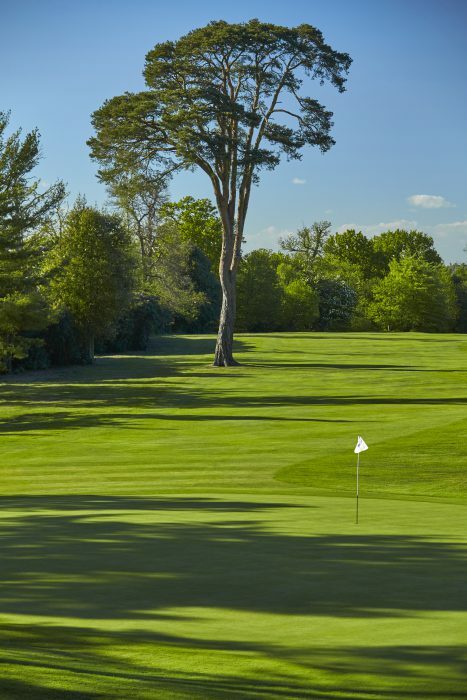 Member rounds account for 75 per cent of our total rounds, with the other 21 per cent made up from corporate golf and residential golf – this is where we focus our marketing attention. 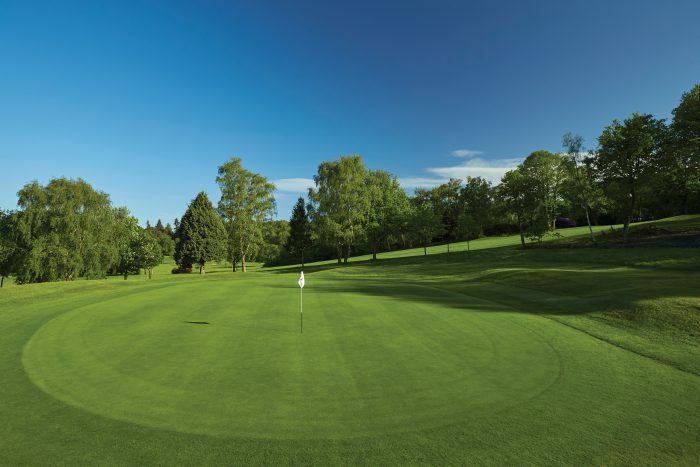 There is so much competition in Surrey for casual visitor green fees at good golf courses, and if a golfer wanted to play a great course for a modest green fee, they could, either directly or by any of the third-party booking engines, so we focus our efforts elsewhere. You mentioned you were operations manager at Golf At Goodwood, which famously has a successful flexible membership programme. What do you think of the role of flexible memberships in golf clubs today? It is the future of golf for sure, but every club is different. Every club has a different strategy, has a different target market and therefore has different consumer habits. 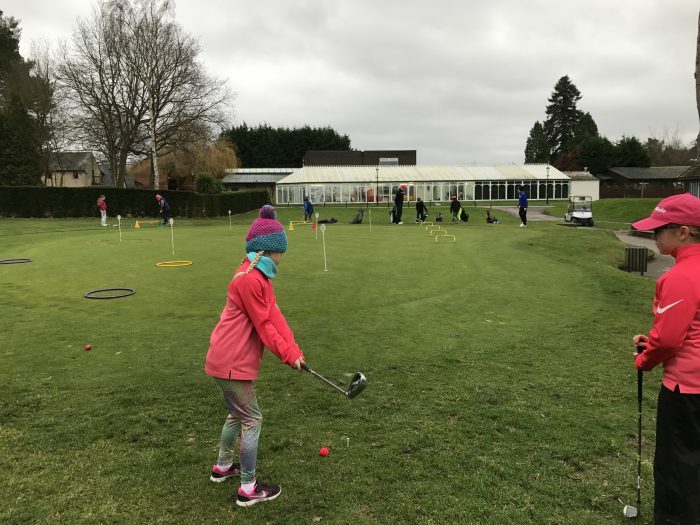 Flexible memberships will be pivotal in growing the game and introducing non-golfers to the sport but not every club will feel the need to adopt a flexible membership option right now, and some may never do so. At Goodwood it was hugely successful because we put a lot of thought into it every single day and the strategy was based around it. 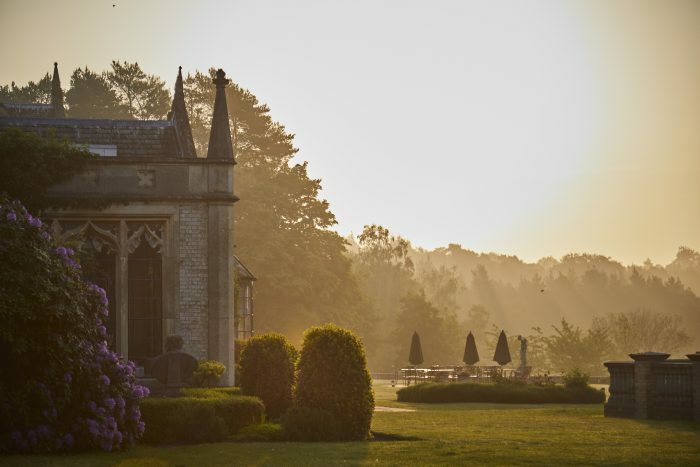 The model was completely synonymous with one of the businesses key values ‘daring to be different’, and people were bought into not just the membership product and Golf At Goodwood, but into the Goodwood ethos. How does Foxhills fit in with the local community? Is it also trying to attract more women and juniors to the facility? As I mentioned before, one of our main USPs is that we have something for everyone. 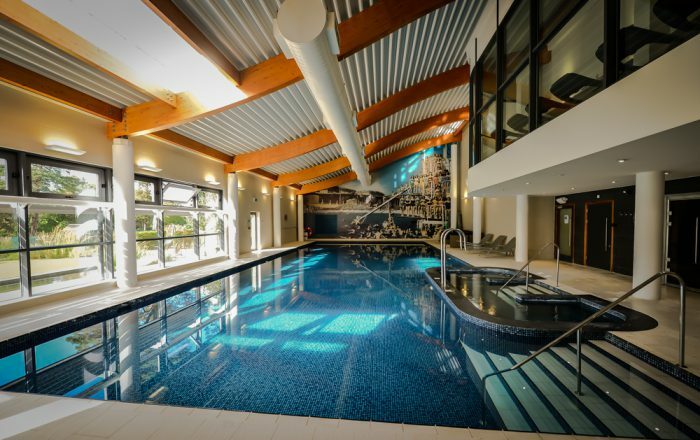 We have leisure facilities to cater for mum, dad, grandad, grandchildren even the great grandchildren with our indoor soft play and outdoor playground. We launched a new junior programme called Foxstars last September and have grown that from 0 to 100 children within a year. 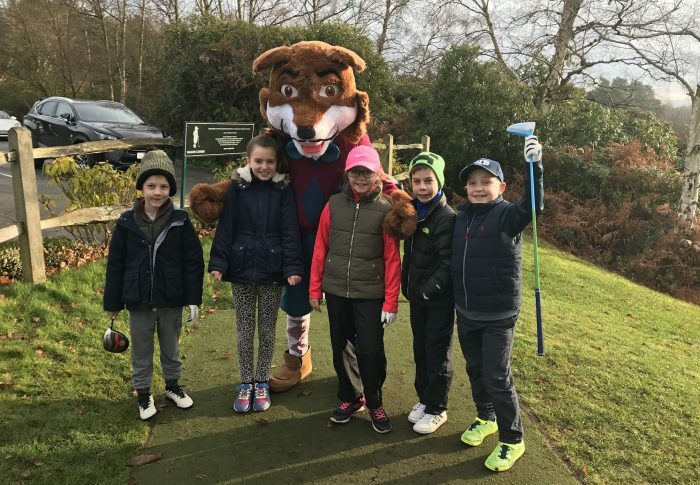 We held an open day for the Golf Foundation which attracted many local juniors that were non-members. We have an annual open event for national women in June, with the aim of attracting non-golfing women to the club for some golf, pilates for golf and for socialising. We also launched a new membership category; ‘Learn to Love Golf’, which is essentially a two-year progressive membership for beginners where the PGA professionals prepare new golfers to become golf course ready. We have a monthly newsletter to communicate all key news and upcoming events. Our Facebook page is updated weekly with event information and news, as are our Twitter and Instagram pages. For golf members, we also communicate competition information to them via Club Systems. Many of our members are ‘old school’ too so we use our notice boards and display units around the estate to keep them up to date. They may ask for that but whether they read them or not is a different matter. Member communication can be a challenge at times. 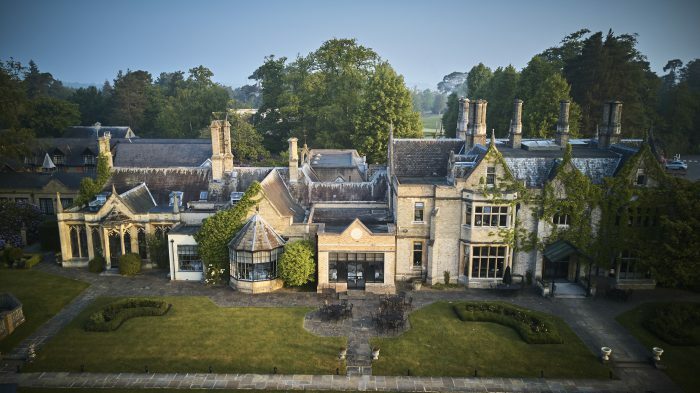 Foxhills is a popular location for weddings and functions. What do you do to market to this non-golfing demographic and what has made this part of the business successful? 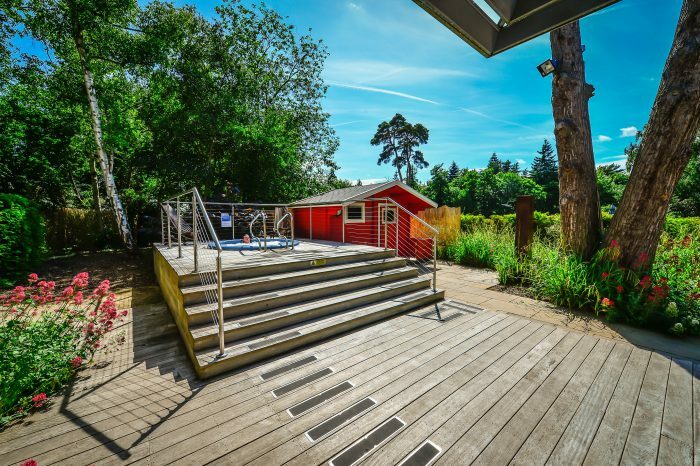 We are fortunate to have many different function spaces that can cater for all group sizes and needs in both the leisure and corporate markets. Making sure you have good imagery or digital content on your website as well as print presence in the right publications is important. We have a proactive sales team that spend time out on the road, attending trade fairs and meeting with prospects, but we also have a reactive sales team that responds to enquiries. We also work closely with a marketing and PR agency that advise on the best use of resources and investment. But, of course, key to the success, is making sure you deliver a great event so the customer is happy and is likely to rebook or give positive reviews. To make every customer leave feeling better than when they arrived. That’s the underlying company ethos. We also use mystery shopping tests every month throughout all departments to monitor our performance and identify any training needs. In golf, we work closely with 59Club to ensure those service standards are being met each month. 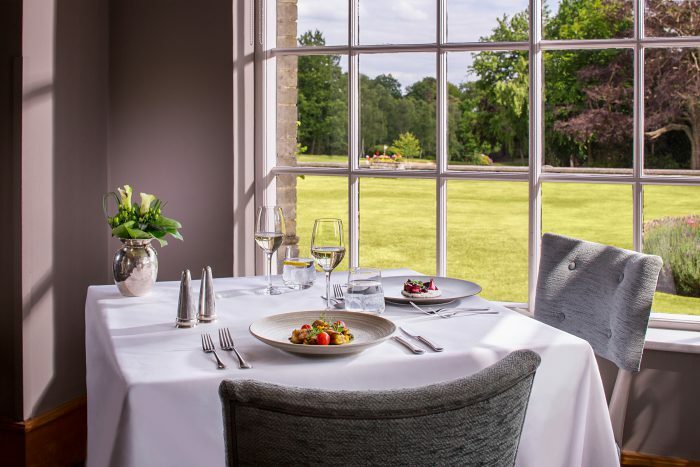 We have recently carried out a full review of all pricing at both Foxhills and Farleigh, tendering for the combined drinks contract in an effort to strengthen purchasing power. We have done the same with certain food suppliers which will result in cost price savings right across the board. We have also looked into ways of making the operations of our three key food and beverage outlets more efficient, be that in menu content, opening hours, the ordering process or member discounts. As a general rule, I’m all for anything that challenges the status quo, not to be difficult but to try to come up with new ideas, ways to improve and how to stay ahead of the competition. When it comes to dress codes, I appreciate its place in golf but am very relaxed towards it. We don’t have a formal dress code at Foxhills. Men-only golf clubs that still exist are archaic and there is no place for them in the sport. Leisure activities such as footgolf, adventure golf and Top Golf, for example, are all thriving business opportunities and that’s because they’re popular. Golf clubs are now competing for the leisure time of the customers that attend these facilities so golf clubs have to adapt if they want to succeed. I generally see the conversion of land for housing as a positive thing, especially if it allows the club to raise important finance that they can invest back into their club and facilities. If it causes the club to close then the surrounding clubs have an opportunity to capitalise on that and grow their memberships and improve their facilities. In the perfectly managed golf club, what role would the committee play and how big would it be? I’ve worked in both private and proprietary clubs where the committees played very different roles. In Saudi Arabia and at Goodwood, we didn’t have a committee so I feel I have good experience from both sides of the table. The biggest issue I’ve seen, when it comes to committees, is that individuals who sit on them all have subjective interests, which can clash with best business interests, result in poor decision-making and stifle progression. That being said, lots of private clubs are hugely successful because of decisions made by their committee. In private members’ clubs, the committee should be there to advise and support the general manager to deliver the strategic plan and the general manager has the final say. In proprietary clubs, it should be the same but the difference is the general manager does have the final say.